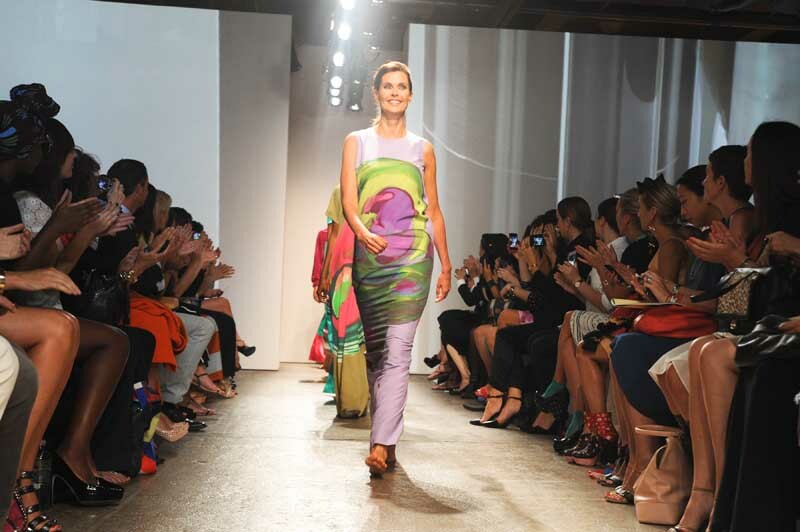 NEW YORK, Sep 11, 2012/ — Nowadays, fashion week invitations are through email or Fashion GPS. Gone are the days when we anxiously wait on our mailboxes to receive hard copy invitations which we meticulously go through not just to create our fashion week calendar but which goes to the bin after its use or we keep simply because they are works of art in their own right. The Marimekko invitation for Spring 2013 falls in the category of “must-keep.” Made of fabric in bright geometrical prints, it can function as a sleeve for the mini tablets in the market. Of if you are more creative; you can make it into a cross-over bag if you know how to make a handle. Hence, to me, from the invitation alone, it was already a memorable show. And the collection itself which was done in bright colors reminded me that this is the season for spring collections. Bright and effusive, the Marimekko Spring/Summer collection is not for the faint of heart. I’m saying this because one of the biggest trends of the New York season is 50 shades of gray beginning from black all the way to white. A woman wearing Marimekko will surely stand out in a crowd because she will be the only one who looks like she knows what season we are in! Marimekko was founded some 60 years, a time when it revolutionized the textile industry with its bold and brilliant, uncongenial prints. Today it’s inventive, yet timeless patterns and clever use of color translate into striking fashion that celebrate the art of print making all over the world.